Aironi Rugby and Praetorians Roma Rugby have been chosen as the Italian franchises to represent Italy in the Magners League from the 2010-2011 season. The Viadana-based Aironi team and the Praetorians side, that will be play in Rome, have been chosen by the Italian Rugby Federation (FIR) to join their celtic rivals from Ireland, Scotland and Wales when the competition is expanded next year. Aironi Rugby is a joint venture by Super 10 sides Rugby Viadana, Rugby GRAN Parma, Rugby Parma and two other Second Division clubs. 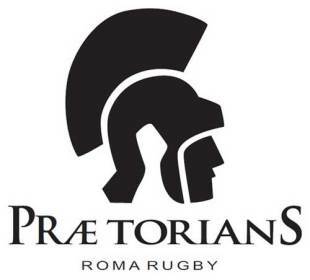 Praetorians Rugby Roma is supported by Super 10 sides Rugby Roma and Capitolina and Serie A club Lazio Rugby. Both sides will now be recommended to the Celtic League Board for their approval pending further checks regarding the viability of the franchises, television rights and the stadium standards. The successful franchises will receive financial support from the FIR to recruit national team players currently playing abroad and fresh home-grown talent. However, the decision to opt against a northern-based franchise, Italy's traditional rugby stronghold, and home to current domestic champions Treviso could be seen as a controversial move. Italy have struggled to gain a foothold in the Six Nations since joining the northern hemisphere's premier international competition in 2000 and have just recorded six victories in 50 Championship matches. This year they suffered their fourth win-less season on their way to the Wooden Spoon. Italian Super 10 sides Calvisano and Treviso competed in this season's Heineken Cup and both failed to record a victory in the pool stages and the country's representatives have only won 18 European Cup games since the competition began in 1995-96. Italy were invited to join the Magners League - that currently features four Irish provinces, four Welsh regions and two Scottish sides - earlier this year with tournament officials keen to maintain the appeal of their product in testing economic conditions. The formation of the franchises has not been a straightforward process for Italy's leading clubs. Calvisano last month pulled out of next season's Super 10 citing financial problems and Capitolina have also given up their Super 10 place in view of their participation in the Praetorians franchise.